When it comes to robotic vacuum cleaners, we are interested in the ones that have the capability to clean up pet hair, and of course general mess. One of these models is the ECOVACS DEEBOT N79S Robot Vacuum Cleaner, which is a smartphone app controlled, and Alexa voice controlled robo vac. It comes with the Max Mode Cleaning for increased cleaning suction power. In this ECOVACS DEEBOT N79S Robot Vacuum Cleaner Review, we look at the main features and potential drawbacks to this robotic vacuum so you can get a good idea or not whether it’s worth your money. Compared to the N79, the N79S has a Max Mode which allows you to increase your cleaning power by 2x whenever you need using the app or remote control. It also has Voice Controls: Use Alexa or Google Home voice commands to direct cleaning. Has Smart Phone App Controls that allow you to schedule & track cleaning sessions, accessory status, battery life, & receive error alerts. Is Android & Apple compatible. Note: Requires 2.4G Hz Wi-Fi. Noise levels of the vac are ~67 dbA in regular cleaning mode, and can reach ~70 dbA when in Max Mode. Comes with these Accessories: Includes (1) remote control, (1) main brush, (2) side brushes, (1) docking station & customer support. 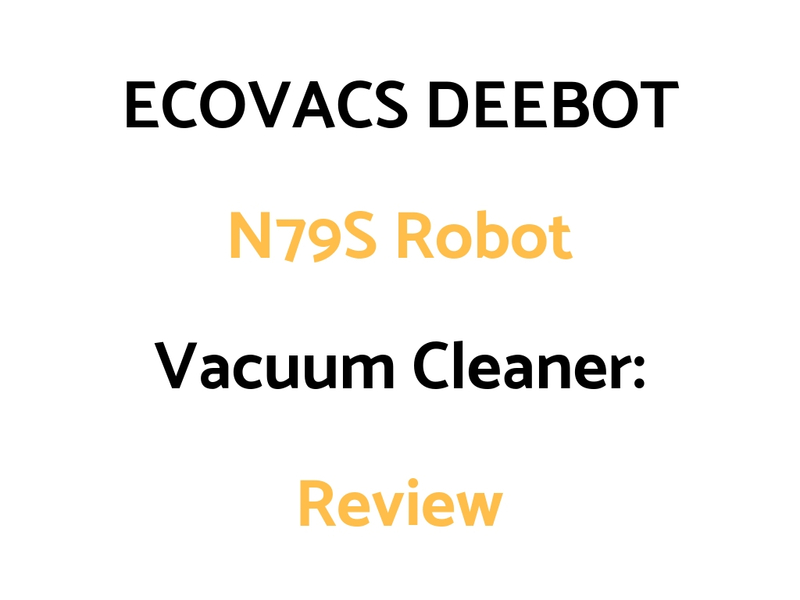 Who Might The ECOVACS DEEBOT N79S Robot Vacuum Cleaner Be For? Who Might The ECOVACS DEEBOT N79 Robot Vacuum Cleaner NOT Be For?